Best known for his work with Spanish directorÂ Pedro Almodovar and his Oscar nomination for The Constant Gardener score, Spanish composer Alberto Iglesias has created another haunting masterpieceÂ for director Marc Forster’s new film The Kite Runner. Providing a soundtrack laden with Afghan-influenced rhythms and instruments as well as the more familiar violas, cellos, andÂ violins, Iglesias deftly tackles the daunting task of bringing the emotional and controversialÂ story to musical life. With aÂ nice mixture of windÂ instrumentsÂ and vocals,Â including a strong flutist in “Russians Invade” andÂ theÂ “Opening Titles” track, and painfully expressive vocals in “The Call, Kabul 1978,” it’s clear Iglesias has done his research. Even the subtler moments in the soundtrack: theÂ wailing strings inÂ “Hassan Theme” or the soft background percussions of “The Stadium” contain a hint of the ethnic tone that dominates Iglesias’ efforts here. What truly sets Iglesias’ soundtrack apart, though, is his ability to understand when something has already been done well and successfully incorporate it rather than mimic it.Â Iglesias displays thisÂ knowledge beautifully on the tracks “Tanha Shudam Tanha” and “Az Man Begurezed,” both provided by the legendary 70s Afghan singer Ahmad Zahir. Each of the tracks possesses an atmospheric beauty that both enriches Iglesias’ original score and offsetsÂ his moreÂ typical orchestral sounds. Additional tracks by Ehsan Aman and Sami Yusuf also help to highlight the rest of the score and throw inÂ some upliftingÂ Middle Eastern flavor to the soundtrack. Aman’s “Dukhtare Darya” and Yusuf’s “Supplication” are the most enjoyable and memorable tracks of the album, perhaps because they possess more “song” characteristics than the remaining score tracks. Overall, though, the soundtrack for The Kite Runner can’t be written off as an instrumental bore. There is a life and passion Iglesias sends through his music that makes this score immensely listenable. 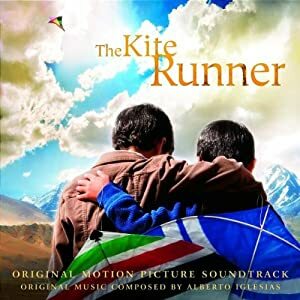 1 user commented in " CD Review: The Kite Runner sountrack, by Alberto Iglesias "